At the Hindi Sahitya Sammelan in 1918, the Father of the Nation, Mahatma Gandhi, took the initiative to make Hindi the national language. Hindi is the most spoken language in India and it enjoys official status. 14 September every year is celebrated as Hindi Day to commemorate the importance of Hindi and spread its publicity, from 1953 onwards. Hindi contests are organized in schools too, to make students aware of the significance on Hindi language. 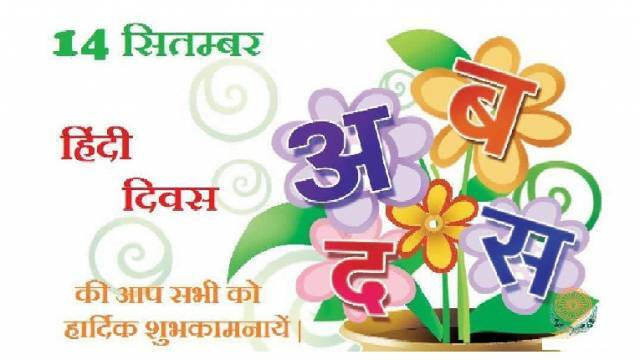 Hindi Day is celebrated all across the country on 14 Sep every year. Hindi contests are organized in the Government Departments to promote the use of language in government departments. Hindi promotion week is also organized in many organisations. Hindi contests are organized in schools too, to make students aware of the significance on the Hindi language. Hindi is the most spoken language in India and it enjoys official status. On 14 September 1949, Hindi was given the status of official language in the Constituent Assembly. On the request of the National Language Promotions Committee, 14 September every year is celebrated as Hindi Day to commemorate the importance of Hindi and spread its publicity, from 1953 onwards. At the Hindi Sahitya Sammelan in 1918, the Father of the Nation, Mahatma Gandhi, took the initiative to make Hindi language the national language. Gandhiji also called Hindi the language of public opinion. This decision was taken on 14 September 1949 after much discussion which was stated in Section 343 (1) of the Indian Constitution that the language of the nation is Hindi and the script is Devanagari. Because this decision was taken on September 14, this day was declared as Hindi Day. But when Hindi was chosen as the official language, the non-Hindi state, especially the people of South India opposed it, and hence, English was also given the status of official language. But in current era, Hindi language is disappearing somewhere from the middle of the people and the English has taken its dominance. If the situation prevails, then the day is not far when the Hindi language will disappear from among us. If we want to keep the Hindi language alive, then its publicity has to be increased. Hindi will have priority in government functioning. Only then, the Hindi language can be kept alive.